Bringing together a wealth of images of normal and diseased dog and cat ears, this is an indispensible diagnostic tool for the small animal veterinary practitioner seeing ear cases on a regular basis. This fully illustrated atlas covers the anatomy of the canine and feline ear, diagnostic techniques, a range of commonly seen diseases, and ear surgery. 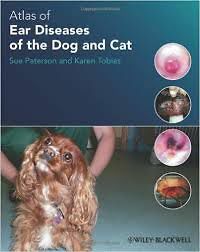 Atlas of Ear Diseases of the Dog and Cat is one of the most complete picture references for this rapidly expanding branch of small animal medicine and surgery. It is an invaluable aid for general practitioners, as well as those specialising in dermatology, and serves as an effective revision aid for veterinary students and those studying for further qualifications in veterinary dermatology.